This link is for G13, White (6000-6500K）, Milky cover, Ra>80, 110V-277V input. If you have other request, please send message when you place the order, we very pleasure to help you send your favourite product. For the cap, we have G13,R17D,FA8(single pin) ；For the color, we have warm white(3000-3500K);Natural White(4000-4500K), White(6000-6500K);Cover have Milky(Frosted), Clear, Stripped for choice. 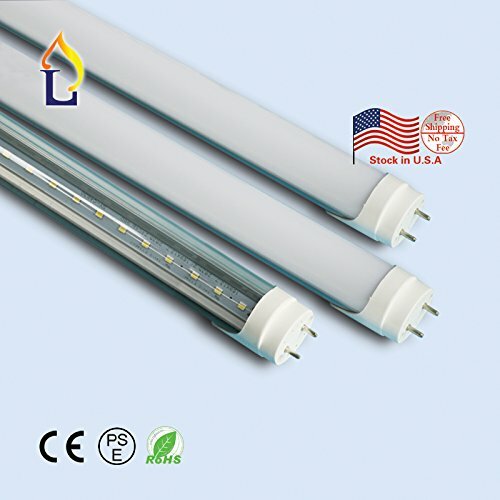 Built-in constant current driver,stability and keep light work long time.Adopt the imported SMD as light source,high lumen ,no fick and ultraviolet rays,can protect environment and human body well. If you have any questions about this product by JLLEAD, contact us by completing and submitting the form below. If you are looking for a specif part number, please include it with your message.